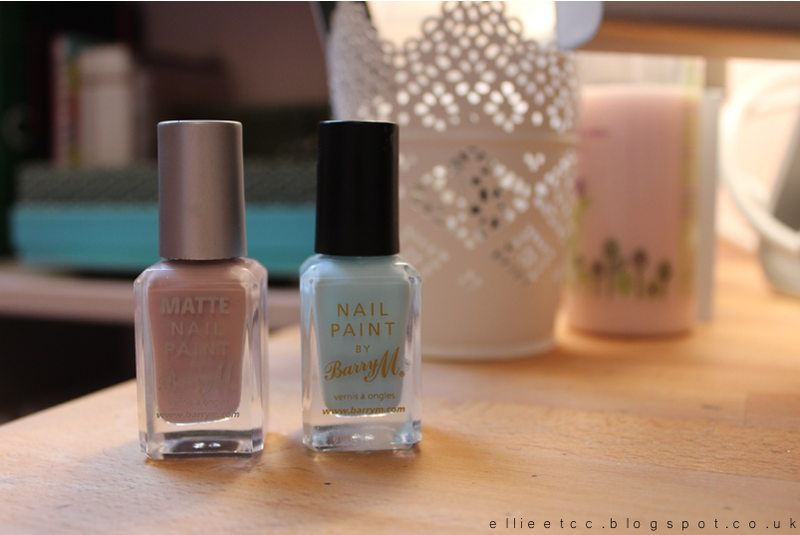 I've been head-over-heels in love with Barry M's Vanilla Matte nail polish recently. Its definitely been one of the most permanent colours on my nails this year so far. Although I feel like 'Vanilla' isn't quite the right name, it's a grey really. But oh well, that's irrelevant especially because it's so gorgeous! What makes it extra special is the fact that it's matte, which is just such a favourite of mine currently. 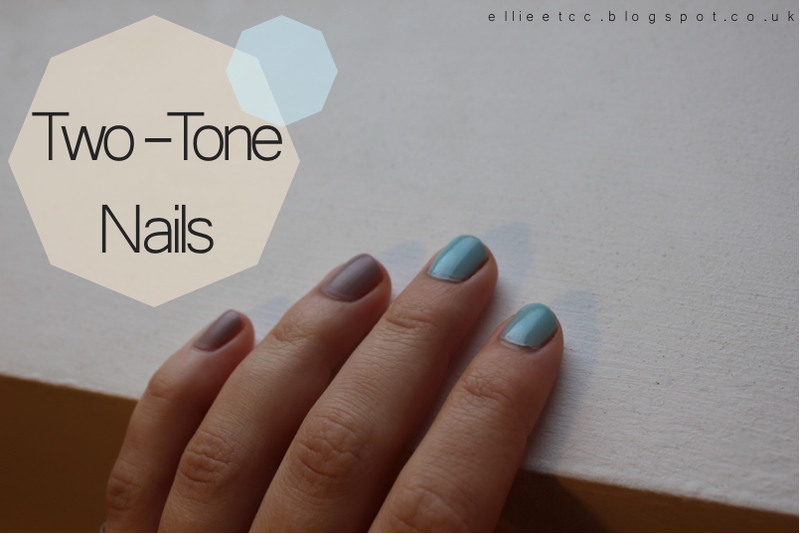 Those of you who haven't seen it, here is my previous post about my love of matte nail polish. Seeing as I've been wearing the grey so often, I thought I needed a bit of a change to mix it up a little. Unless you've been living under a rock recently I'm sure you will have seen this (incredible) pastel trend emerging and looking to be a big one in 2014. I've always loved this blue anyway, I've owned it for quite a while now, it's another of Barry M's crackers. It seems as if Barry M is the only nail polish I buy/wear haha! I think it's the perfect match for the matte grey, and I love the look of the matte with the shine, it's just a bit different and slightly more interesting! 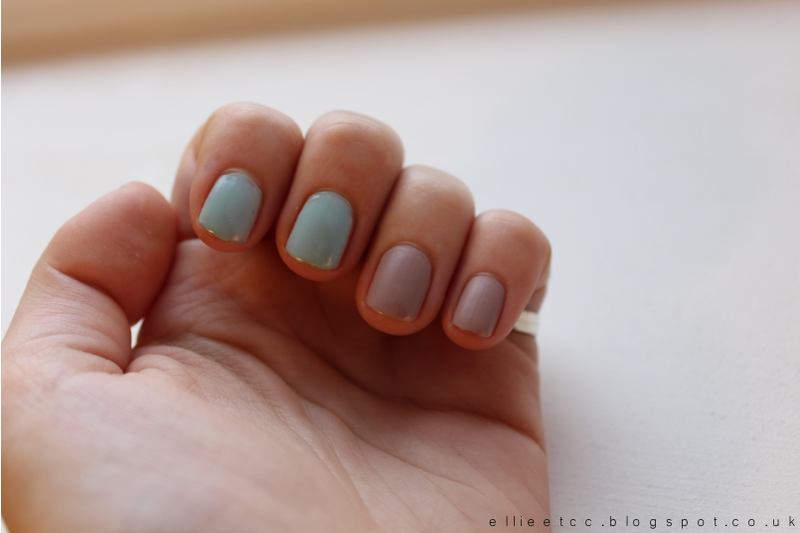 It's also a great way to subtly taster the pastel trend. I'll definitely be satisfying my pastel cravings very soon when I have a bit more money to splurge! What to you think of my two-tone nails? And what about the pastel trend? Have you jumped on that bandwagon yet and bought any pastel pieces?